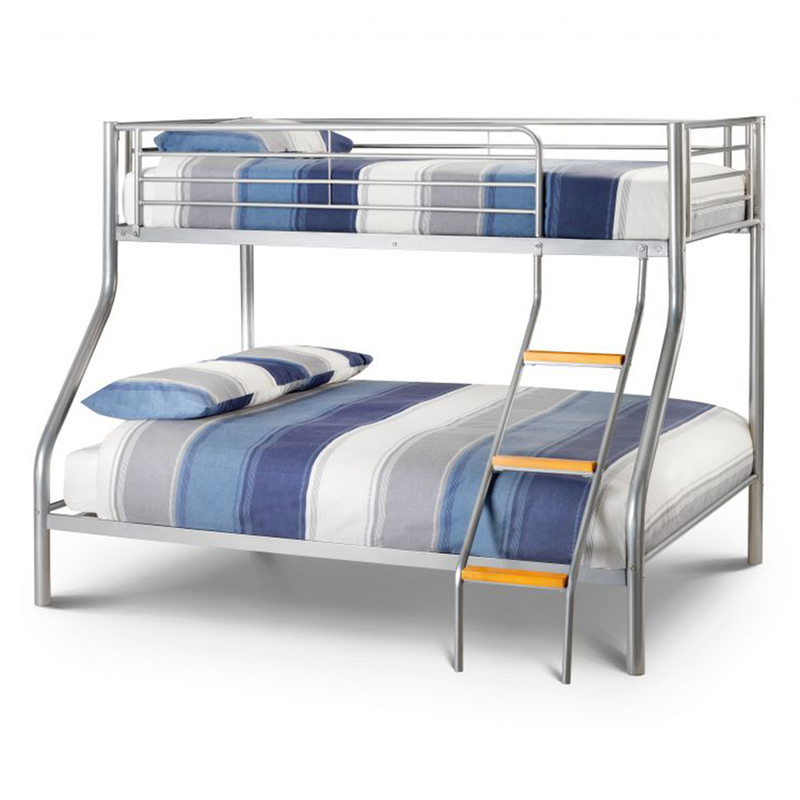 This sturdy powder coated steel bunk bed encorporates solid wooden ladder rungs, ensuring long lasting durability. 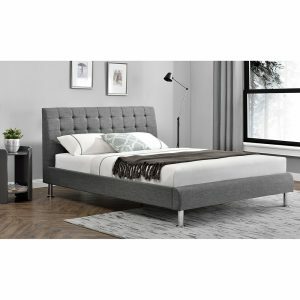 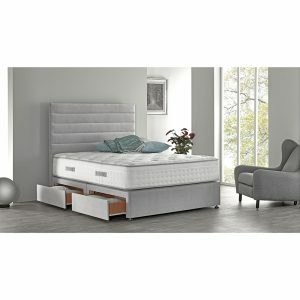 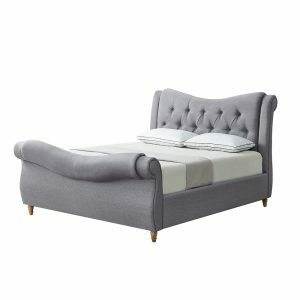 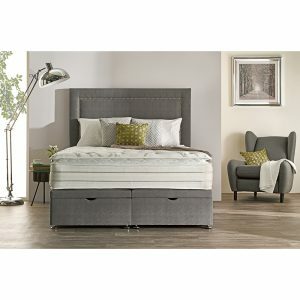 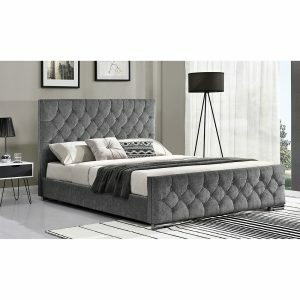 Featuring a single (90cm) bed on top and a double (135cm) bed on the bottom, this Axel triple sleeper offers a spacious sleep suitable for three people. 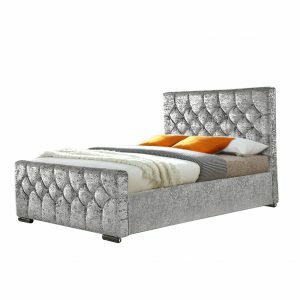 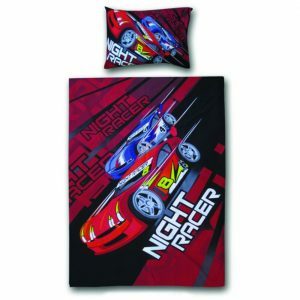 With a sleek aluminum design, suitable for the majority of decor in any room. Solid wooden ladder rungs ensuring a sturdy frame with long lasting durability.